Opening this as a Christmas present put a massive smile on my face as i thought "WOW! how did i not see this in shops? or even consider looking for Star Wars crochet stuff" I enjoy the fact that family keep encouraging my crafts, even though it takes up more and more of my space and time. My first impressions of the kit were fantastic! such a great idea, bringing my favourite movie series and my favourite crafting style together in one big set. Scanning through the book i was excited to see all of the characters i can make, from Boba Feet (my favourite) to Darth Vader, from Luke to Leia. The 12 available crochet patterns are very short and are around 2 to 3 pages for each character. But personally the most important part of the book for me was the breakdown of each of the individual stitches you require to make all the projects within the book, although already knowing the techniques it makes this kit accessible to someone who has never crocheted before. 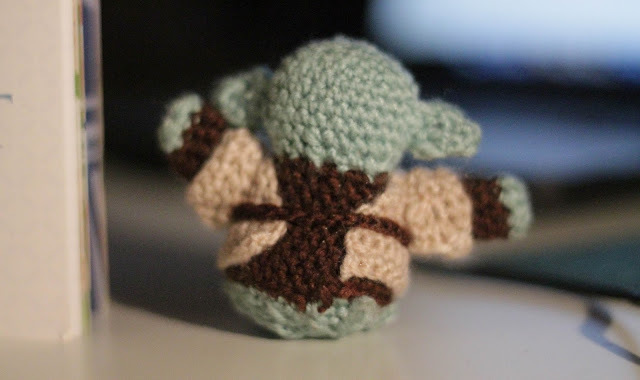 After completing the first project in the book (Yoda), following it word by word, stitch by stitch, you see the small Yoda character coming to life through crochet. But i soon began to struggle during this project on the coat/jacket section, which i believe i may have made too tight, but i carried on through the project. Also i came unstuck when attempting to insert the amigurumi eyes into the desired position, which again seemed to by my fault through completing the stitches too tight. Hence why the photos show my Yoda with no eyes. But hey, he can still use the force, right?? The kit is fantastic for beginners, a fantastic idea with providing the basic materials to complete two projects from the book. Also a great starting point for people new to crocheting 3D figures (amigurumi). I would recommend this to anyone, and if i was to have seen it myself, i would have purchased it straight away! 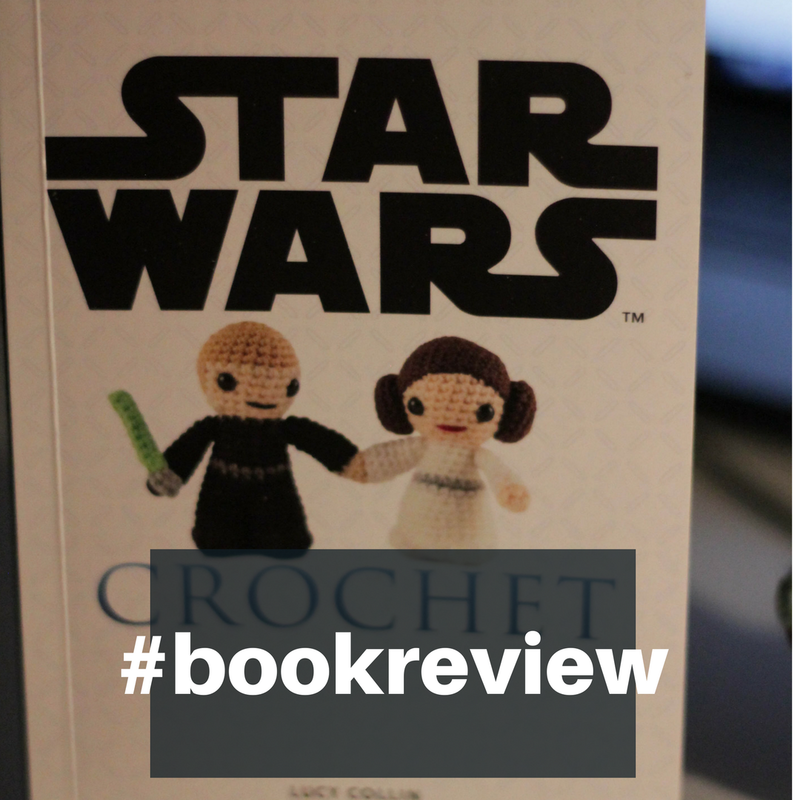 I give this book a 5 out of 5, for the simplicity of the instructions, the range of projects available through the book and for the encouragement it gives people of all ages to begin or carry on crochetting. If anyone has any questions about the book, let me know and ill be sure to help you out as much as i can! If you have your own crochet books you would like to share, please let me know and ill be sure to check them out! Thank you very much for reading and i hope this review was helpful in some way!